A meditation practice can offer blissful relief in a stressful and busy world. Are you ready to learn meditation tips for beginners? Meditation is a powerful tool to calm the mind, soothe your worries, decrease stress and anxiety, and more. It empowers you to tap into your intuition and sift through the various thoughts running around in your mind. Meditation is a practice that includes training your brain to enter a state of awareness that invites relaxation. With training, meditation will welcome a mentally clear and an emotionally calm state of being. Meditation is not a practice that one can be good or bad at, it is merely a method to utilize. Sure, when you’re a beginner learning to meditate, you might feel overwhelmed or like you can’t sit still. You might experience that your brain can’t turn off or you have too many racing thoughts. Know that these experiences are perfectly normal. And then keep going. Are you thinking how do you meditate for the first time? Follow my below steps for setting up your first meditation practice. Sit upright in a chair with feet flat on the floor or cross-legged on the ground. In both positions, place your hands on your knees with palms facing up. Thank yourself for showing up and quietly check-in with how you’re feeling. Practice inhaling and exhaling, counting each breath as you go. Slowly open your eyes and quietly check-in with how you’re feeling. Notice any differences from before your meditation and after. I get it; it can feel tough to start and stick with a meditation practice. I’m sharing some common questions and some (hopefully) helpful tips. How long should you meditate as a beginner? Start with just one or two minutes. I outlined a short mindfulness meditation above. Over time, it will become easier to increase the amount of time you’re sitting. I meditate anywhere from ten to fifteen minutes a day. What do you think of when you meditate? Well, this is kind of a trick question. Technically, the point of meditation is to clear your mind, although it’s not always that simple. Try focusing on the inhale and exhale of your breath, counting each breath as you go. When you find your mind starting to wander, simply bring your attention back to counting your breath. How do you teach yourself to meditate? Practice. Practice. Practice. It’s called a meditation practice because it takes work. We all have the ability to meditate innately within us, we just need to practice accessing it. Are you feeling ready to start your meditation practice? 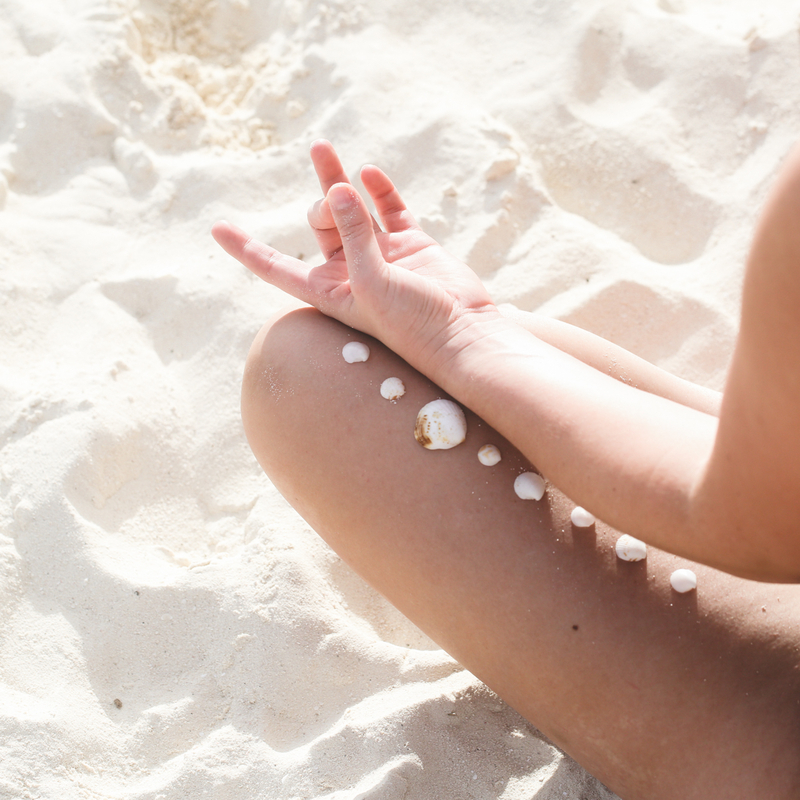 Here are a few helpful tips for getting started with meditation. Meditation is a chance to clear your mind, but in the beginning, you might have to work through a lot of stuff. If you find your mind wandering, guide your thoughts back to your breath. Work on developing a loving, healthy mindset towards yourself and your practice. You might find yourself getting frustrated or feeling like you’re not doing a good job (remember, there is no right or wrong here) so having patience with yourself is essential. Most people agree that meditation seems to work best in the morning when we’re not tempted to go to bed for the night. As with anything, try it out and do what works best for you and your schedule. Stick with it, even if you miss a day or two. Remember that impactful, lasting change starts with small changes, one step at a time. Did you know that there are different types of meditation? I don’t share this to overwhelm you, instead assure you that you can try a few different methods to find the one that suits you best! I encourage you to learn more about the different types of meditation – my favorite is the mindfulness meditation and Kundalini. IS MEDITATION PART OF SELF-CARE? 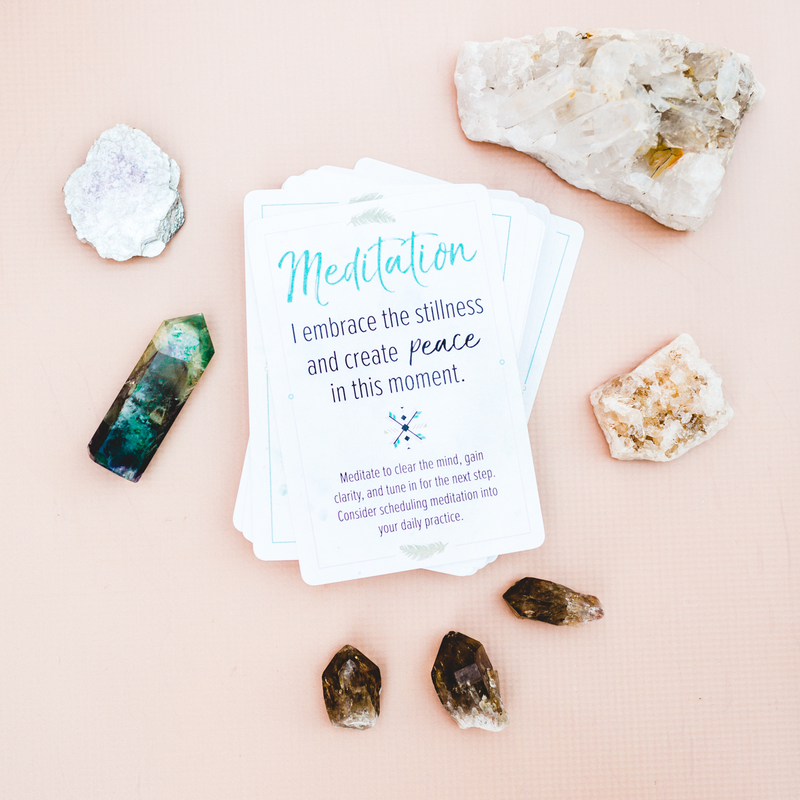 A daily meditation practice can help you to connect with your higher self and is a form of spiritual self-care. When you give yourself space to clear your brain and hear what your intuition is telling you, you’ll move closer to the most authentic version of yourself. In addition to the spiritual self-care benefits, carving out time for a meditation practice takes commitment to yourself. When you find the time within your day for you, you’ll fill up your cup. Caring for your needs is essential, especially if you have others in your life that depend on you. Do you still need some support or maybe you’re curious to learn more? Check out some of my favorite meditation resources for beginners! Meditation cushion – a nice, cozy spot for your tush!